This Flexible Bus Bar is manufactured especially for flexibility need where solid and non-moveable Bus Bar is not able to install, its totally Customised product and can make up to any possible size, its also been known as extra flexible Bus Bar. It is made from EC/ETp Grade Copper wire with very low resistance to flow of electricity so it can carry flow high voltage current. Power generation system like generator, many turbine, electric house, substations, Hydropower station, atomic power station much other power generation and electricity transfer through this medium. 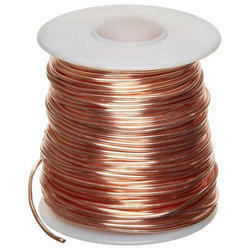 We are highly appreciated for offering our clients with the best-in-class gamut of Double Cotton Covered Copper Wire. 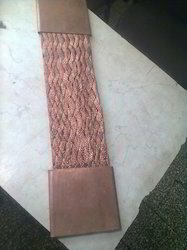 These multi layer poly covered copper wires are in compliance with the defined quality parameters of the industry. 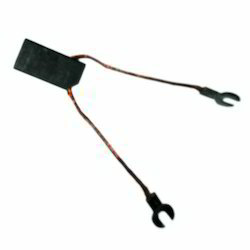 Furthermore, these offered wires are available with us in different sizes and specifications as per their requirement. With the support of our team, we have been able to live up to the expectations of the clients with error-free Bare Copper Wire. Fabricated utilizing premium-grade basic material, these offered products are in complete adherence to defined quality parameters of the industry. Furthermore, we offer these wires in different sizes and specifications to meet divergent demands of the clients. Carbon Brush Wires made available by us are fabricated using the premium-grade required basic material in line with the defined parameters of the industry. Furthermore, these offered wires can easily compensate for contractions, expansion, and vibration. 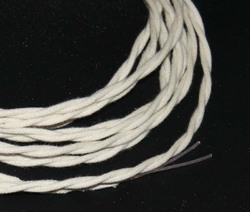 These break free wires are used in carbon brush and other wiring works.